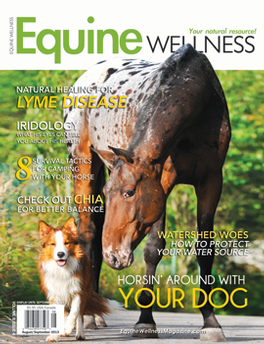 Equine Wellness magazine is a well-respected and sought-after resource, appealing to horse enthusiasts in all disciplines. Each issue highlights the products and services that help give horses a longer and better quality of life. Empower yourself with leading edge information on integrative health, natural diet, supplements, natural horsemanship, complimentary therapies, barefoot hoof care and so much more. Be the first person to tell us what you think about Equine Wellness and you'll save £2.50 on your next purchase!